We offer WORLD CLASS Culinary and International Hospitality Courses and Programs amidst world class Facilities and Chef Trainers. Reasonable and affordable fees vis-à-vis excellent Trainers and Facilities. We provide our students with waking knowledge on entrepreneurship and skills in setting up their own business in culinary or hospitality. You could earn a Diploma in just 40 weeks or a certificate in 4 weeks. IChef Students spend more time in the kitchen and less time in lectures. You’ll have the opportunity to learn by doing, with the one-on-one support and attention you need to be well-trained for your culinary career. Technique and practical hands-on knowledge form the backbone of our professional program. 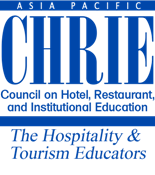 IChef offers a concentrated, affordable education based on learning by doing. IChef students spend the majority of their time in the kitchen labs with personalized attention from the master chef instructors. 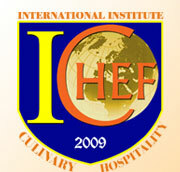 IChef have three (3) fully-equipped kitchen, one (1) as well as pastry kitchen and a 20-seat demo / exhibition kitchen. The kitchen labs simulate, as realistically as possible, the typical facilities and equipment found in fine restaurants and other food service establishments. All are outfitted with up-to-date industry-standard equipment appropriate for every student level. Ultimately, students will prepare meals in the exhibition kitchen in full view of restaurant guests. 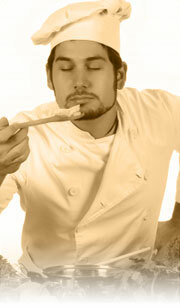 There’s nothing like performing in front of a clientele to really sharpen your cooking skills. Running a restaurant is so much more than cooking great meals. It involves planning, research, sourcing products, staffing and keeping track of hundreds of business details. IChef have a computer lab where students will have an opportunity to learn costing, nutritional analysis, purchasing and other business essentials of the profession. The lab is a classroom and a library resource where students will plan menus and research a variety of projects. Computers have become exeedingly common in professional kitchens; we want our graduates to be adept at using this valuable tool.